Travelodge has announced a raft of new openings targeting some of the UK’s most popular conference hubs, as part of a £100m investment. The hotel chain, which has two hotels in Blackpool, has pledged to open in 10 new target locations after opening a 68-room hotel near Telford International Conference Centre. The plans will create an estimated 300 new jobs. The UK events sector contributed roughly £42bn to the UK economy in 2017, according to Eventbrite, making it a resilient market despite low levels of consumer confidence. Travelodge said that demand from business customers for accommodation close to conference centres has risen over the past three years. More than half of Travelodge sales are now from business customers. But the strong growth in demand has now outstripped supply in key areas. 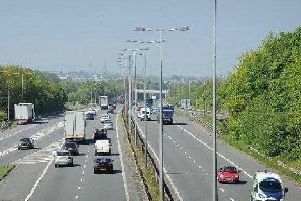 How can road links between Lancashire and Yorkshire be improved?